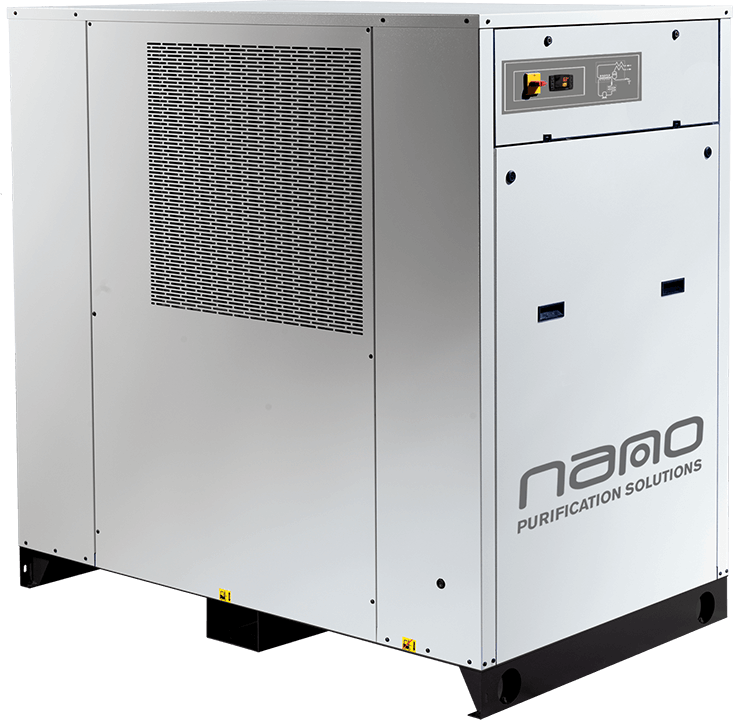 The advanced nano R1 cycling refrigeration air dryer combines the advantages of a direct thermal exchange with thermal storage. It’s two dryers in one. By combining these two powerful energy saving technologies the R1 provides you with the lowest power consumption available in the market today. This cutting edge, patented concept not only reduces your energy bill, it also offers steady dew point performance and reliable operation to ensure you have continuous, worry free, clean and dry compressed air. With digital controls that automatically manage energy consumption, a unique zero air loss condensate drain that automatically adjusts with demand – the R1 cycling refrigeration dryer saves energy and eliminates seasonal adjustments. It is the ultimate solution to remove moisture from your compressed air system. Energy saving design – uses up to 80% less energy than a traditional dryer. High ambient dewpoint setting – for additional energy savings in hot ambients. Intelligent condensate drain – self calibrating energy saving drain comes standard. User freindly digital controls – electronic controls & LED interface on every model. Quick & easy start-up – no pre-start up cooling, programming or calibration required. Automatic operation – automatically turns itself off and on as needed. Built for extreme operating conditions – keeps going through summer and winter. No seasonal adjustments – controls and drains self adjust with the seasons.